Sports Rendezvous: Champions League: Scintillating Salah puts Liverpool in control despite late Roma rally. 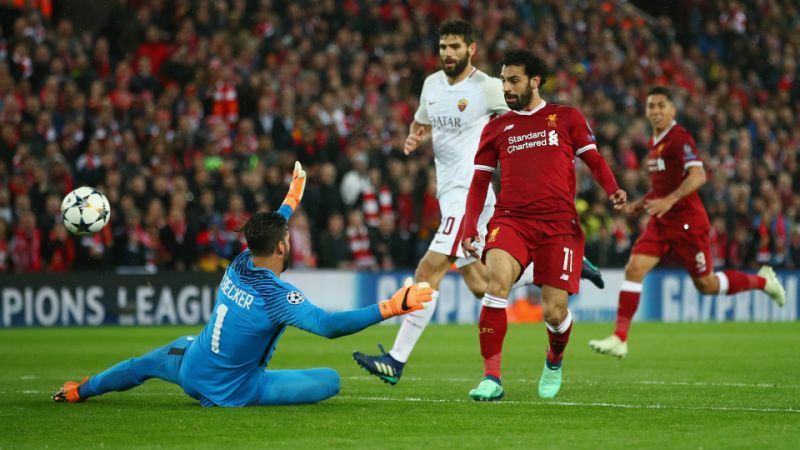 Champions League: Scintillating Salah puts Liverpool in control despite late Roma rally. A mesmerising Mo Salah performance fired Liverpool to the brink of the Champions League final as Jurgen Klopp’s men beat Roma 5-2 at Anfield. The Egyptian star, who moved to Merseyside from Roma last summer, stunned the Italian giants when he curled a magnificent effort beyond a helpless Alisson towards the end of the opening half. Salah then capped a superb move before Sadio Mane and Roberto Firmino fired the Premier League side into an emphatic lead. But Edin Dzeko and Diego Perotti stunned the hosts late on to leave the home fans feeling unsettled ahead of the return leg.